Also this was my first Indiblogger meet experience. Had missed out on few previous meets. I walked in into Concorde Motors showroom in Velachery, (same place where we’d driven in during Nano Superdrive) met Indiblogger representative, Vishal. Vishal works as a musician in UK and is on a holiday in Chennai at present. We enjoyed our snacks while waiting for others. Rajesh Setty is planning 3rd edition of Cerebrate in US and is looking for nominations. The event is scheduled on 30.01.2011 from 05.00 a.m. onwards The event is organised by Schools for India Trust www.schoolsforindia.org, Chennai City Connect, Eco Login and Tamilnadu Cycling Club. Please bring your passport size photo along with registration Fee of Rs.100/- for School, College and Corporate events. No registration fee for the 140 & 70 Kms. events. The organizers are not responsible for any incidents, injuries or death due to any reason. Please ensure that you have medical and fitness certificate before the event. The registrations will close on 26th Jan 2011. The organizers have the right to alter, modify or cancel any of the event(s) without offering any reasons. The Internet and Mobile Association of India (IAMAI) in association with eBay India is organizing the 3rd National Conference on Digital Commerce with an aim to provide a clear understanding of customers’ expectations and how various industry constituents deal with digital commerce. The conference will see the coming together of experts who will attempt to highlight ground realities and comprehend the Indian industry’s attitudes & perceptions vis-à-vis digital commerce. Our esteemed panelists will give an insightful and informative analysis of the current e-commerce scenario in India. The conference will touch and reflect upon various aspects of digital commerce and examine the numerous opportunities and challenges posed before the industry at large. The conference will also shed light on the upcoming areas like mobile commerce and examine the ways to boost it to a level that proves profitable proposition. The event has a fairly impressive list of speakers. 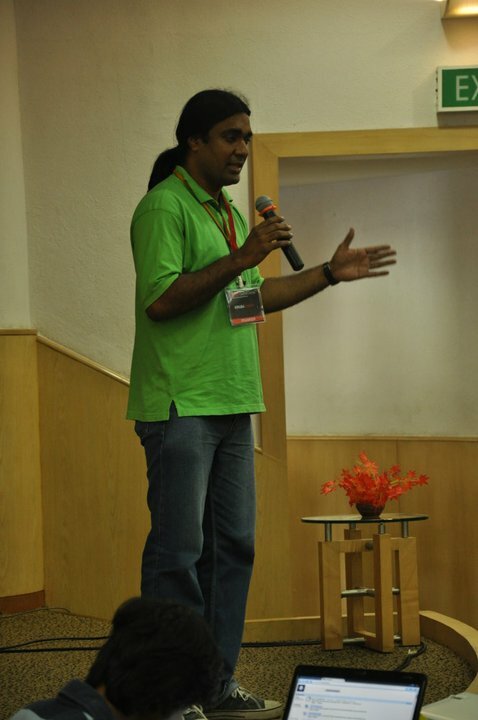 Our CEO Kiruba Shankar spoke at TEDxYouth at Chennai this saturday.